I’ve been a voracious reader for as long as I can remember, and even after studying German literature for the past eight years, I’ve read but a sampling of the various genres and authors in modern German literature. Reading in a second language has introduced me to a new world of literary history and cultural understanding — it’s also extremely gratifying in my progress in learning German. Here are some modern classics that deserve a place on your bookshelf, too. If you grew up in the 1980’s or 90’s, you may have seen the children’s fantasy film, The Neverending Story. What you may not know, however, is that the film is based on a German novel by Michael Ende originally published in 1979. This fantasy epic is a perfect addition to this list, as it focuses on the importance of literature in our lives. Synopsis: The main character, Bastian, is a lonely boy who enters a small book shop to escape from bullies, where he stumbles upon a mysterious book — a never-ending story. As he reads the tale, he finds that both his fate and the fate of Fantastica, the fictional world in which he is now immersed (called ‘Fantasia’ in the film version), are intertwined. Fans of fantasy and children’s literature will thoroughly enjoy this read. Try reading the original version in German for an extra layer of language-learning adventure! Synopsis: Die Verwandlung by Franz Kafka opens with the main character, Gregor Samsa, waking up to discover that he has transformed into a beetle overnight. He is subsequently shamed by his family and describes his feelings of inadequacy, guilt, and isolation. Because Gregor’s family had depended on him for their livelihood, they resent him when he can no longer support them. Ashamed of Gregor’s appearance, his family hides him away. If you’re into a new perspective on understanding human ideas and ideals, Kafka sets a unique stage in describing the universal human desire for belonging through the bug-eyed perspective of a humanoid beetle. If you’ve ever had to choose from a list of classic books to read for your high school English class, this title might ring a bell. Im Westen nichts Neues by Erich Maria Remarque gives an honest look at the horrors of war from the perspective of a German World War I soldier, Paul Bäumer. Synopsis: Paul and his friends join the military because of their love of country, but they soon learn that all soldiers are merely victims of war, no matter which side they support. This is a darker piece, but important as it provides insight into how peace does not erase the gruesome reality that soldiers face during a war. Inkheart by Cornelia Funke is an engaging fantasy novel about a father and daughter teaming up to save the world. It’s a hit not only among German readers, but in English classrooms as well. In 2007, the National Education Association included the book in its list of Teachers’ Top 100 Books for Children. Synopsis: Tintenherz by Cornelia Funke involves Meggie and her father, Mo, who is a book repair specialist. Mo has a special power that wills characters from books to come to life. One of the characters from a book that Mo had accidentally brought to life is a villain, named Capricorn. When he kidnaps Meggie, she learns about her father’s secret ability and that she has also inherited this gift. Meggie uses her newfound gift to join her father in defeating the villain, Capricorn. 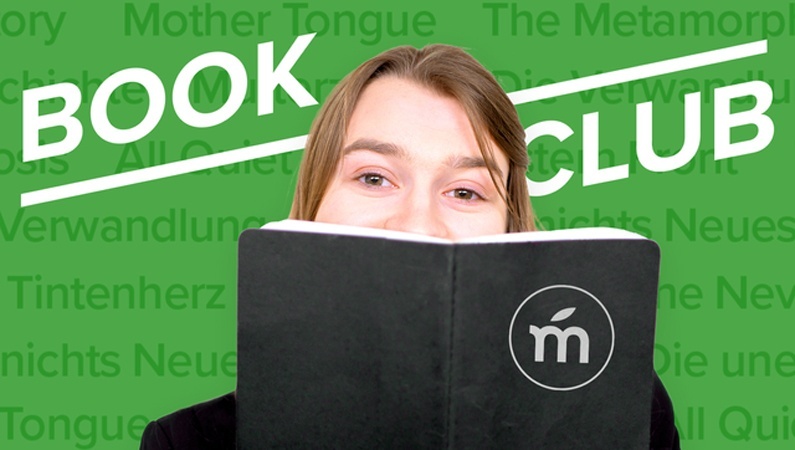 Even if you’re not interested in learning German, these five modern classics are incredibly moving works of literature, and their English translations are definitely worth some space on your bookshelf. Which of these books looks most intriguing to you? Have you read any of these in English? Let us know in the comments below!